Why Choose us for Roof Cleaning? There’s no roof we can’t clean! We can clean using only water, so there’s no risk to your garden, stormwater or rainwater tanks! If there’s broken tiles we can replace/fix them! 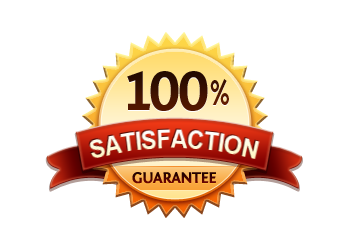 We believe by choosing Andy's Services for all your roof cleaning Gold Coast services you'll be more than satisfied with the final result. The roof of your property is an expensive structural component that is constructed to offer decades of protection and shelter for the contents of your property (and for yourselves). As it is under constant exposure to the elements, UV rays, winds, rain your roofing should be inspected regularly for damages and need for repairs. A common problem that can affect roofs is the growth of fungus, mould, moss and lichens. These growths are not attractive and can damage the material of the roof. 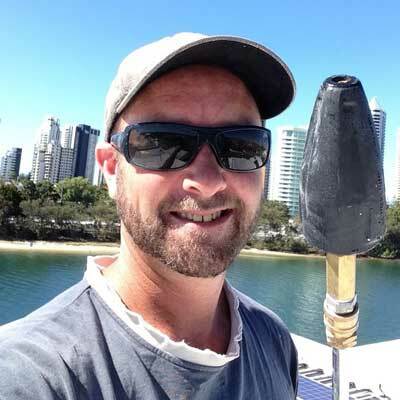 To avoid expensive repairs at a later stage, property owners may choose to conduct occasional roof cleaning from professional contractors such as Andy's Services Gold Coast. Will hot or cold water be required? Controlling to the flow of the water to avoid storm drains/rain water tanks? Will chemicals/cleaning agents be required? Can we use low pressure or high pressure? What type of material is your roof? (terracotta takes more time and needs to be done with hand tools, whereas colorbond doesn't). Many roofing materials only require a light spray to remove debris and dirt. Some types of fungus, mould and algae can be gently removed using a low pressure jet spray that will not cause damage and harm to the roofing material. Incorrect use of high pressure equipment by inexperienced operators can lead to unnecessary damage. Andy's Services has the experience and the knowledge to clean any roof (sorry we won't touch asbestos). The presence of algae stains, moss and fungus is not a reason to panic. Lichens and moss are a common occurrence. Only when the growth becomes uncontrollable does it cause a reason for concern. The lichens and moss have the tendency to retain moisture and become heavy. The absorbed water is not good news for the waterproofing on your roof. The added weight can also result in the loosening and displacement of tiles, buckling and warping of the roofing and other problems. Roof cleaning can remove organic growth and give your home a 'fresh' look. If your interested in refreshing the roof to your property be it a small 2 bedroom house or a 20,000ft2 warehouse. Andy's Services Gold Coast offer free quotes for all jobs and we pride ourselves on keeping our customers satisfied, as happy customers are loyal customers. Have a look at some of our roof cleaning before and afters. Advancetown, Alberton, Arundel, Ashmore, Austinville, Benowa, Benowa Waters, Biggera Waters, Bilinga, Bonogin, Broadbeach, Broadbeach Waters, Bundall, Burleigh Heads, Burleigh Waters, Carrara, Cedar Creek, Clagiraba, Clear Island Waters, Coolangatta, Coombabah, Coomera, Currumbin, Currumbin Valley, Currumbin Waters, Elanora, Gaven, Gilberton, Gilston, Guanaba, Helensvale, Highland Park, Hollywell, Hope Island, Isle of Capri, Jacobs Well, Kingsholme, Labrador, Lower Beechmont, Luscombe, Main Beach, Maudsland, Mermaid Beach, Mermaid Waters, Merrimac, Miami, Molendinar, Mount Nathan, Mudgeeraba, Natural Bridge, Nerang, Neranwood, Norwell, Numinbah Valley, Ormeau, Ormeau Hills, Oxenford, Pacific Pines, Palm Beach, Paradise Point, Paradise Waters, Parkwood, Pimpama, Reedy Creek, Robina, Runaway Bay, Sanctuary Cove, South Stradbroke, Southport, Sovereign Island, Springbrook, Stapylton, Steiglitz, Surfers Paradise, Tallai, Tallebudgera, Tallebudgera Valley, Tugun, Upper Coomera, Varsity Lakes, Willow Vale, Wongawallan, Woongoolba, Worongary and Yatala. If your location isn't listed here there's a good chance we can still attend it fill free to use the contact form or call Andy and ask. © 2014 - 2019 Andy's Services. All Rights Reserved.